The Chicago Marathon is only 5 short weeks away. I am proud to be running for the American Cancer Society and with some wonderful people on Team Determination. I got involved with the ACS back in 2002 when I ran my first Chicago Marathon in honor of my mother who defeated breast cancer 25 years ago. Its now time to tell the story of why I am doing it again for the ACS. Over the past 3 years I have had the pleasure of working with an amazing group of people in Lake Forest, IL. It’s a group of 20 – and when I say that this group is a family, I mean its a family. Every personal celebration is celebrated by all … and every sadness is grieved by all.. very sincerely and emotionally. I am blessed to be part of a team that has such love for one another. One of our team members is Heidi. Heidi is originally from New York and when she returns to the office from a vacation there that deep accent returns and the office if full of everyone imitating her sudden change of accent. She is fun-loving, bubbly and loves to bike. Recently she participated in a team mini-triathlon proudly riding the bike portion with other office members. I am so proud of Heidi and how she has now gotten back on her bike and moving forward with her life, for you see Heidi has been scarred in a way that few people can understand. She lost her son Erik, to cancer (Hodgkins) at the very young age of 20 back in February of 2009. Heidi shares a bond with my oldest sister who also lost her youngest son (also 20) tragically in an ATV accident 5 years ago. However, Heidi endured watching her baby slowly die over many months, with many chemo treatments that caused many highs and lows. His mother can only remember him shedding tears 3 times during the ordeal. Brave is an understatement. 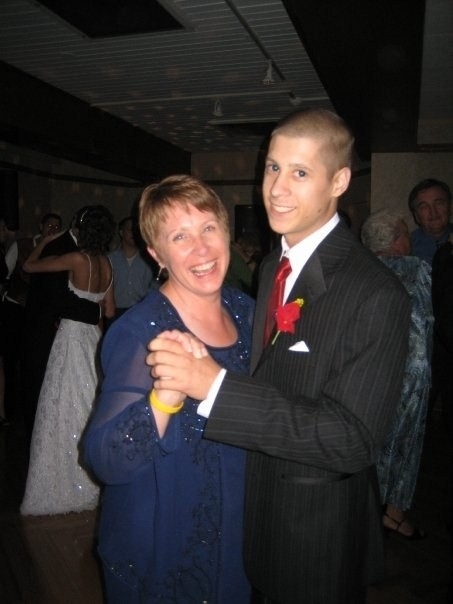 Erik was diagnosed with Hodgkin’s Lymphoma in 2007. While this type of cancer is advertised as the “most curable form of cancer with early diagnosis” – it wasn’t the case for Erik. Erik loved to run. When Heidi found out last year that I was planning to run the ’10 Chicago Marathon she proudly brought me a photo of Erik running track in high school. He dreamed of competing in long distance races. He was fast. He was good. He had desire. That desire to compete was evident as he fought his cancer with everything he had. Especially after being in remission, it suddenly came back. And it eventually killed him. Heidi is an amazing woman. Enduring the pain of losing a child from such a rare form of cancer took her to dark depressing places that no parent deserves to experience. But, little does she realize how she inspires those around her. That inspiration makes me proud to run the 10/9 Chicago Marathon in the memory of Erik Schimpf – A young man who never had the chance to run this race. But, I am also so proud to run in honor of his mother Heidi Stark. A woman who has a gleam in her eye when she looks at you that makes you remember to live that day like its your last. A woman who represents so many mothers who have had their most precious gifts robbed by cancer. An amazing woman who will forever inspire me. September 11th, 2001. Each of us will always remember where we were that sad and scary day. I was at work in my office in Mount Airy, NC actually preparing to leave for the airport for a trip to Dallas. Each of us will remember it for the horror we felt as the twin towers came down and over 2000 Americans lost their lives in the worst attack of terrorism ever on our shores. All of us will remember it for that reason. Except for Pam Peoples Brasher. It was the last day she saw her baby brother Kerry alive. I was almost exactly one year older than Kerry who was born on July 5th, 1966. We had so much in common as youngsters – the love of athletics as we both played every sport that was offered by our local recreation league; which was baseball, basketball and football. Our families also shared a love of Smith Lake as we would venture over to Double Springs… my dad would drop the boat in the water and my older siblings along with the Peoples kids would take turns water skiing, jumping off the Rock or just relaxing on the boat eating watermelon. Thomas and Pat Peoples had 4 children. Kerry had 3 older siblings (2 sisters and a brother). Diane was the oldest, a year older than Pam and 3 years older than Wade. Kerry was 5 years younger than Wade. At a young age, Kerry fell in love with basketball. He was a natural with a smooth jump shot and he shot hoops every chance he got. In the 9th grade, Kerry helped lead the Aggie boys to the Marion County Championship. In the 10th grade, Kerry transferred to Liberty Christian Academy in Guin and over 3 years led them to every small private school championship the state provided including the state championship. At Liberty, Kerry also met his future bride Janet Stell of Guin. In July 1985, after their high school graduation, Kerry and Janet were married. They moved to Hammond, Indiana and began their college career at Hyles Anderson. Kerry had the brains and the desire to change the world. He had a passion for Christ. Every person that came into his presence could sense that he was special. He had a wry smile and a natural gift to never meet a stranger. 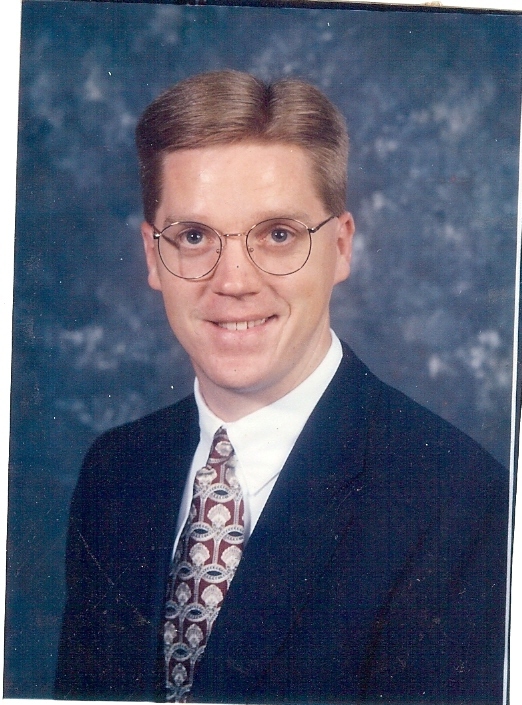 He excelled in college and upon graduation he took a job as a history teacher and head basketball coach at Liberty Christian School in Durham, NC in 1989. His leadership skills and knowledge of the game changed the basketball program immediately. Kerry and Janet loved Durham and Kerry loved his job teaching those kids history in the class and then about teamwork and hardwork on the baskeball court. Allison was born in October of 1991. She was the first granddaughter to be born in the Peoples family. I can only imagine the look on the faces of Thomas and Pat when Kerry gave them that news – their 4th grandchild…their first granddaughter. After nearly 7 years in Durham, Kerry got an opportunity to return home and become the principal of Liberty Christian Academy, his alma mater. I’m sure it was a tough decision to leave their friends in Durham but it was something that he wanted to do. He would also assist the basketball team. Pretty easy decision since he still held the scoring records there; and no one ever came close to breaking them. In July of 1997, Julie was born in Amory, MS. Nearly six years following the birth of their first daughter the Peoples family welcomed another girl; another granddaughter. Kerry was becoming a leader in the community. He was a gifted speaker, a gifted preacher. He was doing exactly what he had been led to be doing and no one who knew him was surprised. He was respected by everyone. In the fall of 1997, Kerry notice a small knot behind his ear. It didn’t seem to be anything major. Everyone has little cysts pop up now and then. It didn’t go away so he scheduled an appointment with an ENT in Tuscaloosa. The doctor examined it and told him that it was common and would be a simple procedure to remove and he removed it. The next day, Kerry received a call that the cyst contained a rare cancerous melanoma and was produced by his pituitary gland. Only a few months after his baby girl was born, he began radiation and chemo treatment. The treatments went on for 2 years and at one time he was told that his cancer was in remission and the chemo ended and Kerry went back to normal checkups. In 1999, during one of those checkups a spot on his lung was spotted. The cancer had returned and it had spread. The outlook now was grim. At the age of 33, with a wife and 2 young children, Kerry was now slowly dying and he knew it. I can’t imagine his mindset at that moment. I don’t know how I would face the world. How I would react to all of the outpouring of concern and sadness. But I do know this. Kerry Peoples was resolved to fight it and use it to glorify God. Kerry moved his family back to Durham. He was welcomed with open arms by his former church school regardless of his condition. Kerry didn’t want his family back in Alabama to watch his deterioration daily so the move was his decision. Always thinking of others. Kerry was a gifted speaker and he felt God moving him to speak to others about what was on his heart. He began speaking in his home church and when he felt strong enough, would travel to speak at other churches. His motto was simple “I do not ask God why I have cancer – I ask Him what He wants me to do with it”. An amazing inspiration everywhere he went – to everyone who knew him and to those who heard him speak. In April 2001, Kerry returned to the church where we both grew up. My mother still talks of the strong message that he brought that day and many people saw their own eternities in a new light. On Sept 11th, 2001 as the world watched the Twin Towers fall in New York at the hands of terrorists, Pam Peoples Brasher and her aunt Jane Tesney arrived in Durham to visit with Kerry. The cancer had now spread throughout his body. Pam remembers feeling the knots under the skin of his back and the pain in his eyes on that day. Pam had planned to spend the week in Durham to care for her brother. However, with the country seemingly under attack, Kerry was very worried for his sisters safety and demanded that she return to Alabama to care for her own terrified children. She knew he was serious and would not take no for an answer so she drove back to Hamilton immediately. In October, Kerry knew his time was near and agreed to be moved to Hospice care. He did not want to die in his living room; with his young girls present. On October 21st, Thomas and Pat visited with their youngest son and told him that they were ok. Everyone would be ok. He didn’t have to suffer any longer. His brother Wade drove them back to Alabama and then immediately returned to Durham to be with Kerry. He died the very next day on the 22nd. An amazing man, husband, and father of 2 little girls now dead at the age of 35 after a brutal 4 year battle with lymphoma. Kerry’s legacy will live on through many generations because of those who he touched. I am proud to run the Chicago Marathon in his memory on October 9th, 2011 almost 10 years to the day when he left this earth. I know that each of you reading this has a “Kerry Peoples” story within your own family or network of friends. Perhaps its a current family member or friend who is currently in the midst of a battle against cancer. I read these words a few weeks ago tweeted by LiveStrong. Everyone knows the Livestrong Foundation and those yellow bracelets made famous by Lance Armstrong and the millions and millions of dollars that that organization has raised for cancer research. Those words are so true in the fight against cancer. Cancer is the number one cause of death in our world today. It affects each and every one of us on a weekly basis. It can be another family member or friend who has been diagnosed with some form of the disease. It can be a birthday of a loved one who passed many years ago from a long battle with cancer. It can be the respect of someone who fighting for their very life in a long battle with it. Over the 4th of July, I traveled with my family to my hometown in Hamilton, Alabama to celebrate the holiday with my parents and my four siblings. We left Sunday morning from our home in Birmingham early enough to make it to my childhood church in time to worship with my family. A wonderful patriotic service that ended with words that totally deflated every person in the church. “Sad news to leave you with as we have received word that Norman Holloway passed away this morning.” I didn’t hear what was said next. Mr. Holloway was just a few years younger than my father. He, his wife Jean, and his sons Scotty, Mike and Rick lived in our neighborhood. My older brother was much closer to the Holloway boys but everyone loved and respected Norman. Only a few weeks ago Rick heard that I was planning to run for the ACS and he sent me a note telling me that his father was sick. He was spending a lot of time in the emergency room and he had been diagnosed with lymphoma. It was in his spine. Rick asked me if I would run in his honor. He also said that his father didn’t want a big deal made out of it because there were others worse off than him. He also told me that he was hoping for a new drug but unfortunately he wouldn’t qualify because of his genetics. I added Mr. Holloway to my list of those that I would run for in honor. Only 2 weeks later he passed away from the cancer. Over two days at home I found out that the husband of one of my mothers best friend had passed away on Saturday from prostate cancer. Also, a former sister in law who has been battling cancer for several years was again going back for chemo for a cancerous brain tumor. She is a couple of years younger than I am. * Eleven million cancer survivors are celebrating birthdays this year. * Today 80% of children with leukemia are cured. *Thanks to ACS volunteers, thousands of cancer patients receive free rides to treatment every year. * The ACS has fought to provide millions of cervical and breast cancer screenings to women who could not afford them. *The ACS is the largest private funder of cancer research in the United States today. * Every year thousands of people stay for free in American Cancer Society Hope Lodge facilities when receiving treatment away from home. Over the next 3 months I will be training to run the Oct 9th Chicago Marathon in memory and honor of those who have fought the tough fight against cancer. Some are miracle survivors while others lost the brave battle. I am honored to tell their stories and run for them. Please join me as we aim to raise $5000 in our friends names to help the American Cancer Society continue to help millions who are fighting cancer and teach the millions of future generations about early detection. Please go to my ACS page listed below. Through our Attitudes, we can Unite and spread the Knowledge of how important the American Cancer Society is to the health of our nation. 17 years. It is hard to believe that I am celebrating my 17th Fathers Day today with my wife and children. As I write this I’m staring at 5 gifts, each from one of my 5 children. Each package is wrapped in white paper and each child has written their own personal messages to me. Words of love to their dad. I am indeed a very, very blessed man. As I ran early this morning I thought about these past 17 years of fatherhood. The first mile brought thoughts of the birth of our first daughter Kennedy Christine in December of 1993. I smile as I remember those first moments. I had never held a baby before in my life and clueless of what to do when she cried. But I remember the first time she smiled at me. My life forever changed in a snap of a finger. She is now a woman. A beautiful woman about to enter the next phase of her life as she prepares for her senior year of high school and then off to college. This first mile was easy. I could feel the ocean breeze at my back and no pain from my hamstring. I increased my pace ever so slightly. As I began my second mile my thoughts shifted to Sarah Elizabeth, daughter #2. Born nearly 6 years after her older sister, Sarah was indeed a blessing from God. After 5 years of praying for a second baby we were satisfied that one child was the plan. Another lesson that all things happen on His watch, not mine. Sarah was a quick learner of everything it seemed. She began reading in preschool. Math came easy to her in kindergarten. She loved to compete and we noticed that she didn’t like losing even at an early age. Today Sarah is preparing to enter middle school. She is a cheerleader, a dancer, a pianist and an amazing artist. She is going to do great things in life. I can’t wait to find out just what that will be. At 2.5 miles I made my turnaround to head back. The breeze, now in my face, was much stronger than I thought and the humidity was beginning to kick in. But I quickly forgot about that. My thoughts shifted back to my fatherhood timeline. Mary Margaret “Maggie” was born in August of 2001. A bundle of joy that grabbed our hearts immediately. Her smile and laugh was contagious. It became a pattern for me that when I had a rough day at work all I had to do was hold Maggie. She made it all go away quickly. With her dark eyes and dark straight hair, the “Moose” was a fast learner as she watched and played with her two older sisters. Maggie will be in the 4th grade this fall and also a different, new school. She has so much determination to succeed. She has blossomed into a very skilled soccer player, dances, plays piano, and shares the artistic talent with her sister. As the middle child she is the glue. During 2007, we broke the news to the girls that we were moving to Birmingham. Tears began to flow. I will never forget Maggie looking at me and asking “Does it snow in Birmingham?” I said “Yes” and that was all she needed to hear. And her other sisters fed off of her positive energy. I am surprised as the 4th mile marker comes in sight. The miles are coming quickly today. Even though the sweat is pouring and the wind is even stronger, I am feeling good. Savannah Grace, our fourth daughter came into our lives in July of 2005. Born in south Florida, Savannah was such a happy baby. Her sisters were old enough to care for her and she endured many days of having her clothes changed dozens of times as she became their newest American Girl doll. Blonde and blue eyed, Savannah will enter the 1st grade this fall. She is following her sisters path as a dancer, soccer player and has such an amazing vocabulary for a 5 year old. As I hit the 5th mile I was now wishing I had a water bottle. It didn’t help that I was running at a faster pace than I had planned coming off a sore hammy but then the past 6 months came to mind. Olen Michael was born a few days after Thanksgiving last year. A blessing beyond words to be parents to a son during the 20th anniversary of our marriage. A son. It still doesn’t seem real as he approaches being 7 months old. He is a few days away from crawling and I find myself having him reach for toys with his left hand. I continue to envision him throwing a 88mph slider. Or a 70 yard bomb down the right sideline to his wide open wide receiver. With his left hand. I finished my 5th mile with a sprint over the last 100 yards. All the while thinking of the future. I pray God blesses me the health to watch them grow up. To see the impact that they make on the world. I run for that reason. After finishing my run I came back to a very quiet house. Everyone was still asleep. I walked our dog Noah to the sound so he could swim. I then called my father who in my eyes is the greatest father to ever walk this earth. He is nearing 80 years old. He answered and I wished him a happy Fathers Day. He thanked me and then immediately began asking questions about my children. How they were. How they were enjoying their time in North Carolina. He laughed as I told him the fun they were having. You see my father raised 5 children. He taught me long ago the importance that a dad has in his kids lives. I know if I can be half the dad he has been then my precious children are going to be just fine. My most favorite mile marker in the entire country. 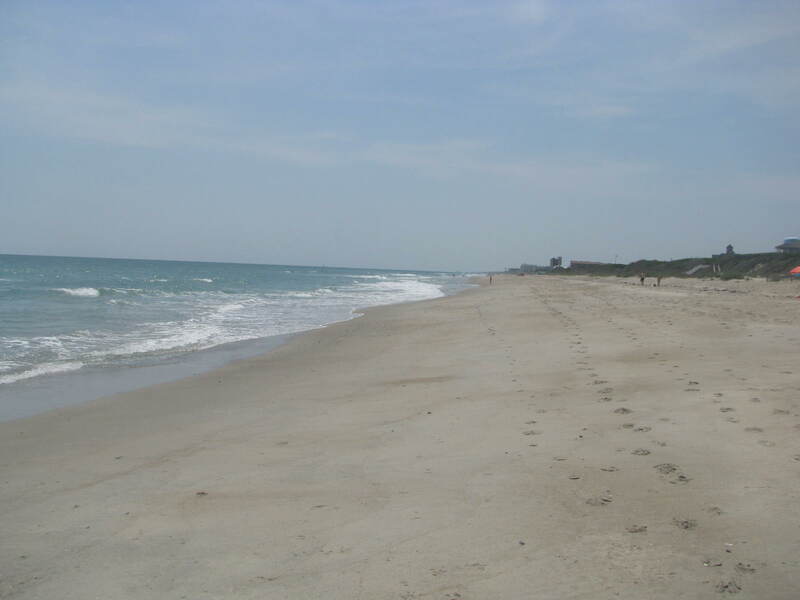 It’s on Salter Path Road; the main road on the most southern island of the southern Outer Banks of North Carolina. At roughly 25 miles long, it connects Emerald Isle, Indian Beach, Pine Knoll Shores and Atlantic Beach from bridge to bridge. Surrounded by beaches on the Atlantic Ocean on one side and the Bogue Sound on the other, it is the ultimate stress reliever for my family. For the past 18 years we have come here. 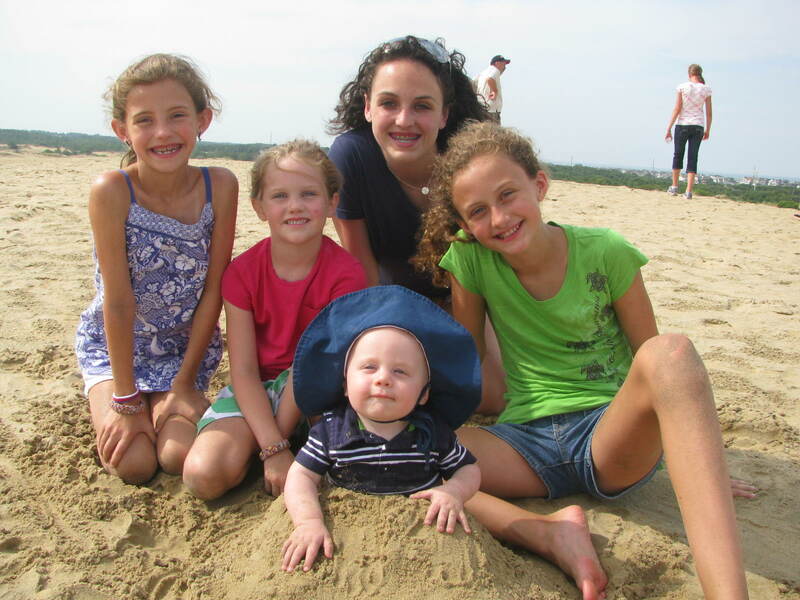 All 5 of my children have had their first experiences with the ocean here. It’s impossible not to smile when I arrive. 24/7. The island creates happiness. A 1/4 mile walk from the marina on the sound to the beach. The beach that I have spent many hours over the years walking…thinking…smiling. Paradise for relaxing in the sun, in the pool, on the boat and…..running. Yes, the ultimate Runcation is found here. We arrived this year on the Thursday before Memorial Day. The kids last day of school was on Wednesday in Birmingham and we we wanted to get to the beach as fast as we could. 10 days away from work for me. 10 days of loving on my family, resting the brain, recharging the batteries, and running early in the mornings. With Chicago Marathon training looming in front of me I was looking forward to adding to my mileage base. But thats not the real reason. I was looking forward to the feeling you get running here. Impossible to explain, but its true and it always has been that way for me. The short walk to the highway gives time to stretch…. to get those last few sips of water down before reaching the road… and there she awaits me, Mile Marker 9. I’ve learned over the years to run east as the sun is coming up. The ocean is to my right and the breeze is strong. It helps in the early morning humidity. Pelicans fly in their familiar V pattern overhead…effortlessly. Beach homes are quiet to my right. Seagulls call out to each other. There are a few bikers that I greet every day. Always smiling, they answer my “Good Morning” with an even louder greeting. They feel it too. There is a mile marker for every half mile. Before I ever knew what the letters GPS meant, it was easy to know my distance based on the posts. Its very flat here and you can see the markers from a half mile away. 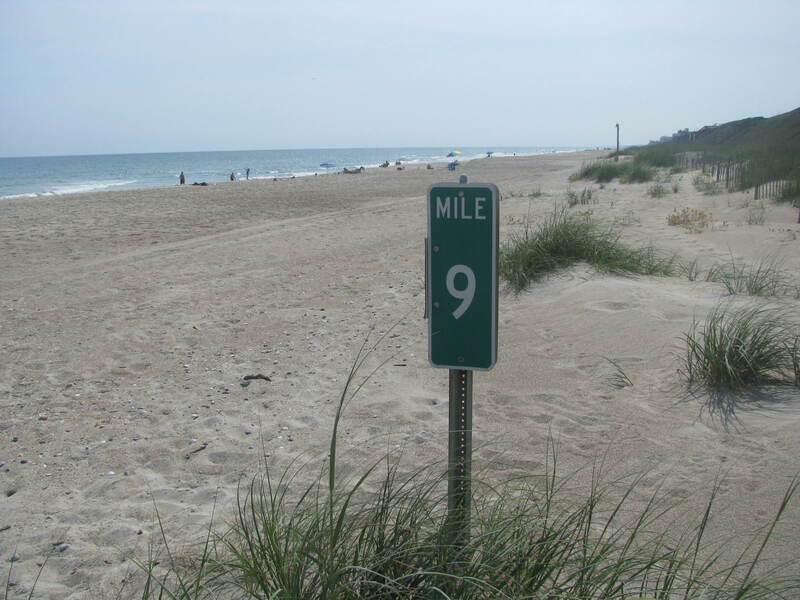 Its 6 miles to reach the heart of Atlantic Beach as I run east. If I choose to run west then its 6 miles to reach Emerald Isle. Plenty of ocean waves to stare at… the fishermen…the sailboats.. and the smell. The relaxing smell of the Atlantic. The sun has risen bright.. hot… as I turn and head back. I can feel it on my back as the sweat is now pouring from the North Carolina humidity. I slowly pass the green mile markers until reaching the 8.5 post. Only another half mile. I can see it in the distance and my heart always pounds as I find the last gear and a little more speed. The satisfying feeling of completing a long run on these early mornings is doubled here. Runcation. It is a mind clenser. All of the clutter is eliminated. My lifes priorities are clearly defined before me. I welcome them. My mother is now 74 years old and has been cancer free for 25 years. Praise God. Along with my father, she has raised 5 children, has witnessed the birth of 12 grandchildren and now 6 great-grandchildren. We are so blessed to have Jean Gann as the matriarch of our family. Today is National Cancer Survivors Day. Today I commit my Chicago Marathon training to the American Cancer Society and Team Determination. Tomorrow begins 18 weeks of marathon training leading up to the October 9th race. 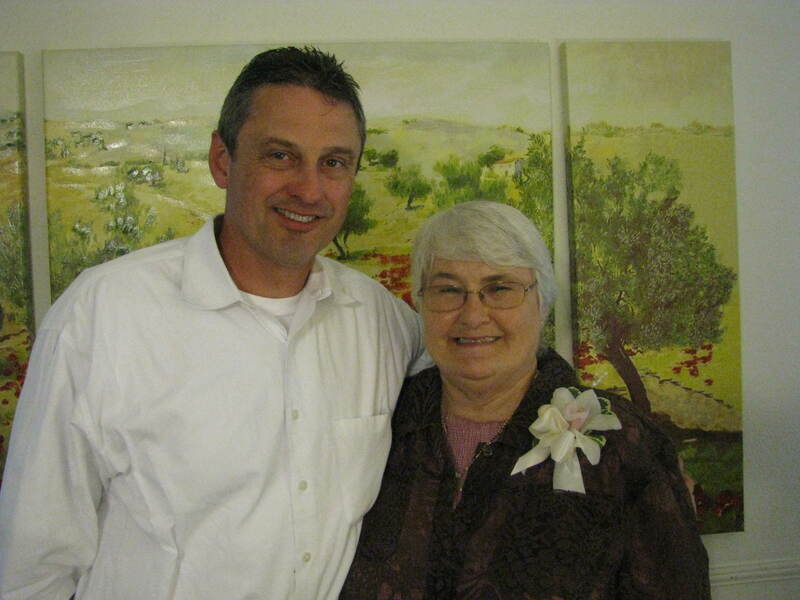 I owe a lot to my mother and I am proud to run in her honor. My 5-year-old asked me that Memorial Day morning following my 5:45 a.m., 13-mile “rave run” in the southern Outer Banks of North Carolina. My family had been there since Thursday night; our annual sabbatical from our home in Birmingham, Alabama, once the school year ends. WHY DO I RUN? It’s the greatest question my fourth and youngest daughter has asked me. I answered her the same way I explained to my family and friends when I announced last January that I planned to run the Flying Pig Marathon in May while still battling a throbbing Achilles from running the Chicago Marathon. “Sweetheart, I run because I want to always be in shape as you get older and as your younger brother grows and begins playing sports,” I said. For a 45-year-old father of five including his first son who turned 6 months over the weekend, it is the current reason. The question has gnawed at me during the 48 hours since she asked me. My reason for running is complex and ever-changing. I first dabbled with running in 2002. Fresh from moving my family to south Florida from Mount Airy, North Carolina, due to a “dream” executive position with a thriving apparel company, I found myself 36 and creating a bucket list. I have always been athletic, having chased a baseball dream into college. Naturally, my bucket list included running a marathon. So in the spring of 2002, I signed up and half trained for the Chicago Marathon, which I ran that October. I crossed that item off the list and decided one was enough. In fact, I begged my wife after crossing the finish line in 4:53 to never let me do it again. Fast forward to July 2009. My older brother, Allan, suffered a massive stroke at 51. He was in shape, a cyclist who had biked 50 miles a few days before the stroke. He survived. Nearly two years later, he can walk again. He’s beginning to gain back some movement in his left arm, which remains unusable today. It was a wake-up call for me as I’m only six years younger than him. In December 2009, I decided to run the Chicago Marathon the following October. On Christmas Day, I couldn’t finish a mile. Ten months later, I completed 26.2 miles and raised nearly $8,000 for the OAR – Organization for Autism Research. While training for Chicago, an amazing blessing from God occurred. My wife and I learned that we were expecting our fifth child and our first son. I quickly did the math; I would be in my mid 50’s when my little boy would be playing Little League baseball. Two months after the marathon, my son was born. Unlike 2002, I didn’t stop running. This past February, I ran the Mercedes Half Marathon in Birmingham and finished in 1:53, a personal record. Then, on May 1, I ran the Flying Pig Marathon in Cincinnati, happily crossing the finish line in 4:20. There are a lot of things in my life that come before running. But, I have many reasons to run, and I see them around me daily. I plan on seeing them for a long, long time.